The 1980s witnessed exciting developments in theoretical writing in Western archaeology. Where previous decades were dominated by the Anglo-American perspective, or "New Archaeology", the recent years showed the European debate grow in confidence and vitality. This book, published in 1991, captures this spirit of debate as contributors from a wide cross-section of countries evaluate the development of the distinctly national and European characteristics of archaeology and assess future directions. 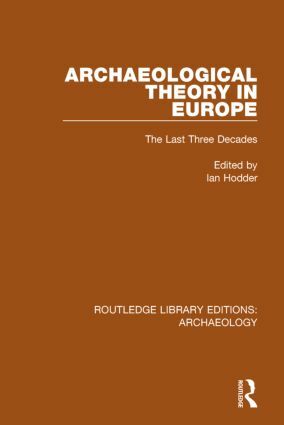 Contributors consider an extensive range of ideologies and viewpoints, stressing the fundamentally historical emphasis and social construction of European archaeology. The development of archaeological theory is traced, with specific emphasis on factors which differ from country to country. Ultimately, it argues that the most active response to archaeology is to celebrate theory within a constantly critical mode. A great insight into the development of theory.